Hilton Head is America's favorite island, offering 12 miles of pristine beaches and everything you need for the ultimate retreat. Enjoy easy days relaxing in the sun, sand and surf on some of the best beaches in the country. Get into the swing of things with 24 world class golf courses and 350 tennis courts, and experience our rich and vibrant history. Outdoor adventure is yours—ride horseback through a forest preserve or bike on the beach and moss-draped trails. Experience and explore all that Hilton Head Island has to offer. Every destination has a soul worth discovering. At Omni, we’ll bring you the true essence of Hilton Head Island. Whether it’s in the local knowledge offered with a smile or the locally sourced cuisine, let us make the most of your next escape. With an exceptional location on the sandy shores of the Atlantic, our hotel offers a distinctive blend of comfort and sophistication. Make yourself at home in spacious accommodations and experience luxury with magnificent coastline or resort views. Enjoy the charm and warmth of one of areas top resorts. Nestled along the coast with stunning 360º views and lush landscapes as far as the eye can see, our award-winning Sonesta Resort is a premier destination for a relaxing getaway. 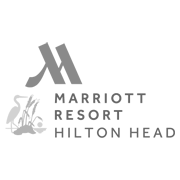 Experience the only true oceanfront boutique resort on Hilton Head Island. Located on Coligny Beach, the resort offers oceanfront guestrooms, live music all year-round at the legendary Tiki Hut, and Lowcountry dining at Porch Southern Kitchen & Bar. Hilton Head Island is America’s favorite island, offering 12 miles of pristine beaches and everything you need for the ultimate retreat. Enjoy easy days relaxing in the sun, sand and surf on some of the best beaches in the country. Find your Island Time when you visit Hilton Head Island. Plaid Nation is the spirit that makes the RBC Heritage the most unique stop on the PGA TOUR. It’s families and friends coming together year after year to be a part of something big, memorable and fun. Your favorite Island getaway is closer than you think. 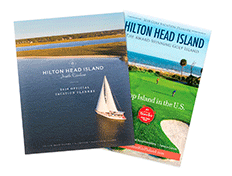 Plan your getaway to Hilton Head Island. Flight times unless otherwise noted.